A recent survey of clubs identified a number of challenges that have been faced by clubs. This covers many basic principles of using social media but is not exhaustive. If you are uncertain about anything contact the Hon Secretary before proceeding. This policy applies to all social media forums and accounts both existing at the time of its publication and that may emerge over time. Club Committee The Executive Committee of the club or the Mini & Junior Committee. Any approval of the committee refers to a majority vote of a quorate meeting. 4 executive members on a majority vote may also give approval. It is not permitted for a social media account to carry the official name or badge of the club or imply an association in any way with the club without the official approval of the club committee. Social media accounts registered and approved by the club committee will become subject to these social media guidelines and uphold this policy at all times. Any representative of the club wishing to establish a social media presence on behalf of the club must apply in writing to the club committee, outlining the purpose of the social media channel, demonstrating the benefits to the club and how the practical aspects of capturing and sharing content over the channel will be managed, in addition to outlining how this policy will be upheld in relation to security and reputational risk. The club reserves the right to decline any requests received on reasonable grounds including lack of resource to effectively manage and engage across the channel, the reputation risks or if the purpose outlined is contra to the general interests/ focus of the club as a whole. The club can remove permission for a social media account to exist as an official account where the committee feel that the rationale for the benefit to the club has dissolved, management of the account has become problematic or there has been a repeated breech of the social media policy. All social media accounts established on behalf of the club remain under the ownership of the club at all times. Administration access to the accounts must be given up when requested by the club committee. Social media accounts established on behalf of the club will present a professional image/ shop window at all times with a description of the club and link to the official club web site where appropriate. Accounts will have a minimum of three representatives acting as administrators (one of which will be a club committee member) to ensure that accounts can be accessed easily during times of holiday and absence. Administrators of the clubs official social media accounts must agree to sign up to this social media policy and conduct themselves in a way that is appropriate in upholding and building a positive image of the club at all times. Administrators of the clubs official social media accounts agree to use password protocols, and agree that responsibility for protecting this password and access to the account (e.g. logging out effectively of browsers) remains their responsibility at all times. Any breech of this protocol must be immediately communicated to the club committee and steps taken to limit the impact. Administrators of the clubs official social media accounts will agree not to act on any conflicts of interest, and must not promote their own products or services across the official social media accounts of the club unless expressly agreed in advance by the club committee. Where an administrator is associated with more than one club, E.g. Rugby Coach, the committee reserve the right to restrict the promotion of activities through the official club channels to those relevant specifically to the club. Administrators looking to endorse, promote or engage in a national campaign on behalf of official partners such as RFU or sponsors or unofficial partners such as community groups, must first seek approval from the club committee to mobilise the social media channel to this effect. For the purpose of effective management and measurement, administrators will agree when requested to do so, to use relevant social media management tools/ protocols as requested by the club committee. The committee reserve the right to evolve these tools/ approaches in keeping with new trends and approaches to managing and being effective in social media delivery. Administrators are encouraged to attend relevant training and workshops relevant to the delivery of social media on behalf of the club as deemed appropriate. Any representative of the official social media accounts for the club must not by their actions jeopardise the privacy of any member associated with the club. Data gathered through social media channels should not be published without the consent of the membership. This includes allowing members the option of opting out of any social media directory produced. Administrators agree not to spam or communicate with members of social media groups/ forums in a way that could be determined as being of detriment to the reputation of the club. Administrators agree not to pursue public debates that could bring the club and/or the game of Rugby into disrepute more widely or proactively provoke members of the club to do the same. 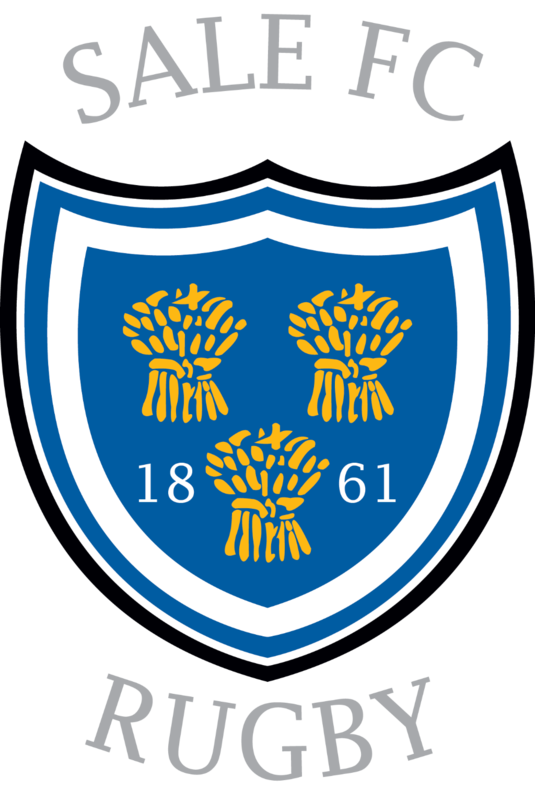 Confidentiality must be upheld across the club social media channels at all times, no direct messages should be made public without the consent of the person responsible for the original post and content discussed within committee meetings may not be disclosed on social media unless agreed by those present. The content posted across official social media accounts must be relevant, age appropriate and uphold the club’s reputation at all times. Administrators distributing content on behalf of the club will ensure that the appropriate agreements have been sought on any photographs or film footage uploaded and shared within social media environments across the official accounts. Administrators of club official accounts must be aware that any content (photos and film) posted on social media passes on ownership of the material to the social media provider e.g. Facebook Therefore, caution must be extended in passing on rights over club material (of value) to a third party. Administrators must make all best efforts to ensure privacy of players etc. especially when injuries etc. occur. Videos/photos of injuries should not appear on official sites without express consent of the individual. Any content shared from online environments will link and/or credit the original source of the content. Children under the age of 13 are not permitted to establish a Facebook account. The nature of social media and cookie tracking in digital environments puts children under this age at considerable risk. No official club social media channel or Administrator of the clubs official accounts will use social media to communicate or engage with children aged under 13. Please note that parental permission does not constitute permission to breech this element of the policy. For further information please see the CPSU guidelines for protecting children in digital environments. A list of administrators for each Social Media channel will be kept by the Executive Committee and updated accordingly. The Executive Committee reserves the right to update this policy. Social networking, such as Twitter, Facebook, internet blogs and other online sites, offers tremendous opportunities for rugby to communicate and engage with a growing audience as well as its existing members, supporters and players. The RFU is keen to promote the safe and responsible use of social networking technology but also to make its members aware of the potential risks and to share best practice. Participants should be aware that comments, which bring the game into disrepute, or are threatening, abusive, indecent or insulting, might lead to disciplinary action. Comments that include a reference to a person’s ethnic origin, colour, race, nationality, faith, gender, sexual orientation or disability may attract a high disciplinary sanction. Comments can also attract civil and criminal action. Nearly 5,000 offences involving Facebook and Twitter were reported to police in 2012 and 653 people charged. Clubs and Constituent Bodies (CBs) should be aware that they can be vicariously liable for material published by employees in the course of their employment, for example on an official website, Facebook site or Twitter feed, or published by employees outside work via a work email address or a work Twitter handle. Clubs can also be liable for third party comments and postings made in their website forums or on their Facebook pages. The RFU’s Safeguarding Policy advises against coaches having direct personal communication with children unless in exceptional circumstances and coaches and club officials should not communicate with children through social networking sites such as Facebook and Twitter, nor should they be “friends” with children or comment on their status. The RFU works closely with the NSPCC’s Child Protection in Sport Unit, which provides comprehensive guidance and resources relating to this issue. Individuals need to understand that they are personally responsible and liable for their comments and postings. At all times you should exercise discretion and be respectful of other players, teams, officials, organisations and brands. What you regard as “banter” could be regarded as embarrassing or hurtful by a wider audience and bring the game into disrepute.